Complete Systems start at $1295. BPA Software is free with hardware purchase. Includes Restaurant POS, Inventory, Integrated Accounting, Integrated Time Clock Application, Payroll software, and more! New, Used, All-in-one systems available. Complete Systems start at $1895. Includes Point of Sale, Inventory, Integrated Accounting, Integrated Time Clock Application, Payroll Software, and more! Complete Systems start at $1595. Integrates with BPA Restaurant Professional and complete BPA Accounting System. We offer a wide range of custom configurable Restaurant POS hardware systems. From single station systems to multiple station systems with Back Office computers, our industry standard custom configurable Restaurant POS hardware systems provide an unbeatable combination of value and reliability. 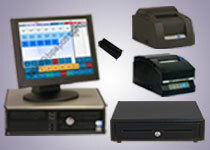 We also offer used hardware with some of our Restaurant POS systems for increased cost savings! All of our hardware systems include the Restaurant POS Software free of charge! BPA Restaurant POS Professional and BPA Restaurant Delivery are the most complete software packages and the best values available in the Restaurant Industry today. Including Restaurant Point of Sale, Accounting, Gift Card Processing, Credit Card Processing, and many other standard features, you won't find a better value or a more complete Restaurant POS system. This software is free with the purchase of any of our Restaurant POS Hardware Systems. BPA Hotel & Property Management is a complete software package that comes with our BPA Restaurant Professional and BPA Touch POS with integration between the different systems. Including Point of Sale, Accounting, Gift Card Processing, Credit Card Processing, and many other standard features, you won't find a better value or a more complete solution for your business. This software is free with the purchase of any of our property management Hardware Systems. BPA Touch POS is the perfect solution for your retail or convenience store. With included features like integrated credit card processing, inventory, bar code printing, and a complete accounting system, our Touch Point of Sale software provides the most complete solution for the greatest value. This software is free with any of our Retail Touch POS hardware systems. 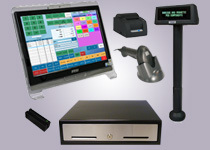 Let us provide you a custom configured Retail Touch POS Hardware System. From single station systems to multiple station systems with Back Office computers, our industry standard hardware provides an unbeatable combination of value and reliability. We also offer used hardware with some systems for increased cost savings! 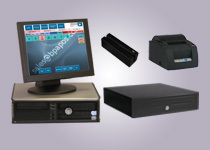 All of our hardware systems include the POS Software free of charge! Since 1989, our Business Plus Accounting software line has provided a Complete Integrated Accounting system plus a variety of Business Tools to thousands of customers. We offer products for a variety of industries, as well as the opportunity to have one of our standard products customized for your business. View our complete product listing. Solutions... It's what we do. It's what we're all about. And we've been doing it for over 21 years. Every business has problems they want to solve. We have software to help you do it. Honed and refined by over a decade of working with thousands of businesses, we are proud to present our Business Plus Accounting line of software products. Whether you need software for your Restaurant, Convenience Store, Service Industry, for Point of Sale, wholesale outlet or Mail-order, or even for Manufacturing, we have business software solutions to meet your needs. In addition to software, we also provide complete hardware systems from single station PCs to fully networked, multi-terminal integrated point of sale and touch screen systems. We also specialize in custom software development. Starting with one of our 20+ business products, we will make custom changes just for your business needs. We use Microsoft visual development tools and are able to create complex solutions in a short amount of time and on budget. So if you need Business Software Solutions, you've come to the right place. Get Gift Cards for use with Business Plus Accounting! Get protected with BPA Cloud Backup!